What is the real purpose of a book cover? With the lowering of the barrier of entrance, self-publishing books has become the norm rather than the exception. Something that was traditionally handled by big, lumbering publishing houses or by individuals with a lot of money, has now become a reality for anyone. It no longer has the stigma of vanity publishing, but has instead evolved into a perfectly viable route to market. But the fact that it is easily possible does not mean that it is easy to do. There are countless pitfalls along the way, and for someone who has never even had tangential contact with the publishing industry there are inevitably a good number of lurking misconceptions. The number of decisions that have to be made, and the impact these decisions can have on your potential success are immense. Let’s take a look at book covers, for example. It is so easy to get them wrong—and for all the right reasons. For many years now I have been working with authors who self-publish their books. I have been formatting their books, as well as providing cover art for them on many occasions, and if there is one red thread that weaves itself through the nearly one-thousand book projects I have worked on, it is this: passion! Authors spend a lot of time writing their books, massaging them to perfection, editing them, reading them again and again, proofing them, the whole spiel. It takes a lot of time and passion, naturally, and as a result authors always have a very close attachment to the project. A lot of passion. It is the essential ingredient or else the project would never have come to fruition. However, this passion can easily become detrimental when it comes to certain aspects of the actual publishing of the project, because publishing a book requires a number of business decisions. A cool head is required to make the right choices, or you might get in the way of your own success. 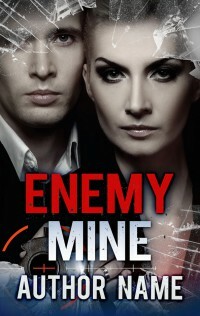 Covers are one of the areas where these problems often manifest themselves very quickly, creating a dangerous slope, because covers are, perhaps, the single most important decision you will ever make regarding your book. So, let me ask you this question… what is the purpose of the cover? 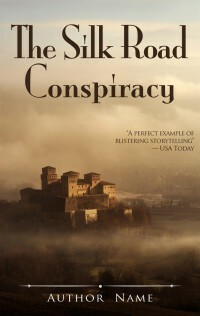 The purpose of a book cover is not to perfectly illustrate the story down to the smallest detail or to showcase every aspect and facet of the plot. If you think this way, you are too close to your project, and you are thinking about your cover too literal—especially in the digital world where books are bought primarily online and the presentation of the cover has changed from a beautiful piece of art to a small 100 pixel-wide thumbnail. A book cover is a selling tool! Nothing more, nothing less. It serves the purpose to attract eyeballs and then get those people intrigued enough to click on the cover thumbnail and learn more about the book, which, hopefully, will then result in a sale. 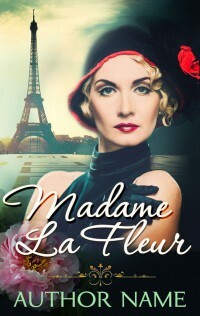 If visitors on Amazon do not notice a book cover because it is easily overlooked and disappears among other covers, it serves absolutely no purpose and is actually detrimental to the author because uncounted potential sales are lost right there. Forget how much you love your friend’s illustration, or how you feel this frilly font really reflects your main character’s taste for the intricate. If people do not notice your cover or if it is muddled up, you won’t make a sale. You always have to keep in mind that for the most part you are trying to sell books to people who are not familiar with you and who do not know the book or the story—at all. It is the cover that will hopefully draw them to it. It is the cover that will hopefully connect with them and intrigue them enough to find out more. Only then will you be able to tap into new readers. Readers who are essential for growing your customer base not only for this book, but also for your next. I suppose it is easy to see that the impact one good cover can have are very far-reaching over the course of a writer’s career. What makes a good cover then? Again, with the digital revolution, software has become available to anyone with a computer that enables us to do everything by ourselves. But should we? A better tool does not necessarily mean the output is getting better. Even with a better knife you will still not be able to carve a better statue, because you lack the necessary skill set, and you really have to ask yourself whether you feel that you are qualified enough to tackle something as important as your book’s cover by yourself. Among many things, I am a trained typesetter. I took a three-year apprenticeship to learn about fonts, their impact, their structure, the creation and design, and the subject of printed matters on the whole. This apprenticeship taught me things that allow me to make educated decisions when it comes to the visual presentation of the written word. Which font to choose, which size to choose it in, how to properly kern it, how to adjust and tweak it for best visual impact or for best readability. The list goes on. See, it is a very common misconception that covers are just images with a handful of words thrown on them. Nothing could be further from the truth, really. A cover needs focus. It needs to create intrigue. It needs to guide the eye. It needs to create emotions that connect the story with the person browsing the virtual bookshelf. Do a little experiment, if you wish. Do a search on Amazon that should bring up your book, and then quickly scan the results with one glance. If your book is not the first one that jumps to your eye, your cover is missing something. How could I say something like this? 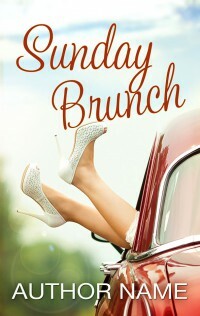 Because you are so familiar with your cover that your eyes should immediately pinpoint it—with your eyes closed, almost. If they don’t, you know that something is seriously wrong, because the odds of a stranger honing in on your cover at a glance are deteriorating rapidly here. Aside from the cover motive itself, font choice is vital. A font that is unbalanced and hard to read is useless, but what is “unbalanced” and what is “hard to read?” These are the things that typesetters and graphic designers have spent years learning and studying. 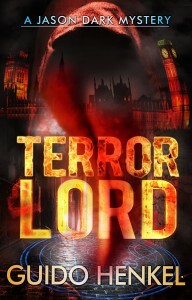 A well-chosen font on a single-colored background can be extremely dramatic in the hands of the right cover designer. It can cut to the chase and deliver its message, and that is exactly what you need. That is what trained professionals are for, and access to trained and professional talent is easier and more affordable than ever. Though custom designed covers are still quite pricey and not within everyone’s budget range, a new alternative has emerged over the past years—pre-designed covers. One of the players in the field of pre-designed covers is my most recent venture, Covertopia.com, where I team up with experienced long-time graphic designer and illustrator Lieu Pham to bring bestselling book covers to authors at affordable rates. The concept of pre-designed covers, or premades as they are often called also, is very simple, really. The cover designer creates and hosts a catalog of covers that have been prepared ahead of time, without any particular book in mind. These covers are usually following themes and trends that reflect the current state of the market, without honing in on exact details of any one book. This way the cover can be potentially applied to a variety of books, because it illustrates more general subjects, while maintaining the high quality and professional design elements you would normally find in much higher priced custom designed covers. Reputable designers will make sure that the covers remain nonetheless unique, by selling a particular cover design only once. 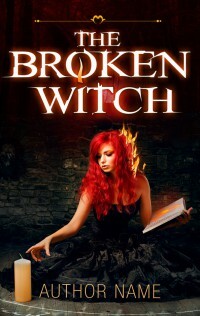 In these cases, after it is sold to an author, the cover design is taken off the market, and no longer available to others. This kind of service should not be mistaken with supposed cover designs you can get on sites like Fiverr. These are usually not created by professionals, but hobbyists with extra time on their hand, and therefore often lack in real design and typography fundamentals, not to mention that many of them are using imagery without obtaining proper rights clearance, etc. A professional cover designer will always ensure that the images used will be legitimate and will not create copyright nightmares for you. So, if you are a writer, looking for an affordable cover for your next book, while making sure it plays on a professional level and doesn’t break the bank, a pre-designed cover might just be the ticket. In addition, pre-designed covers have a very quick turn-around, because they can be finalized with your book title and handed over to you much faster than a custom job. Reputable designers will get the final cover to within a day or two. This means no delay for your project, so you can go to press anytime you’re ready! On Covertopia.com my partner Lieu Pham, a long-time graphic designer and illustrator, and I are offering covers for a wide range of genres, in a wide range of themes and looks, all optimized for best discoverability, all making a statement and an impact, and we strive to give each pre-designed cover the same kind of feel that we afford our custom design projects. Sound interesting? It should, because getting professional covers has never been easier. 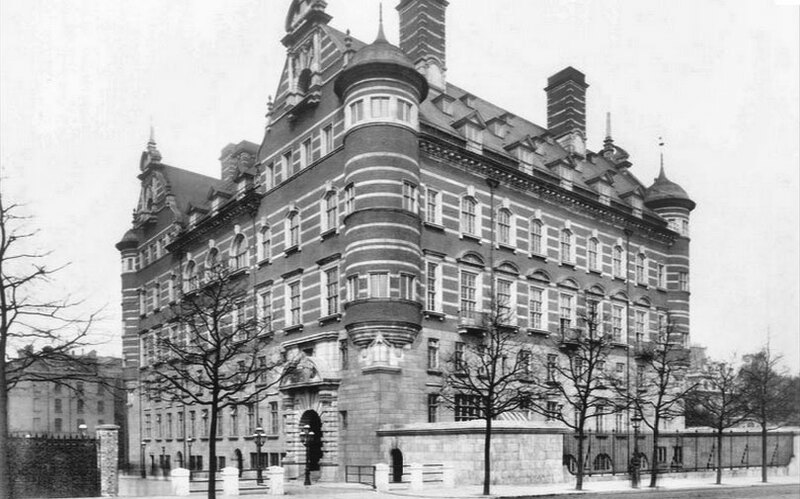 For most of us, the name of Scotland Yard is synonymous with detective stories. Whether it is Sherlock Holmes, the books of Agatha Christie or Edgar Wallace, or even the exploits of Jack the Ripper, the involvement of Scotland Yard roots these stories, often elevating the institution to mythical heights. Its involvement lends credence to the powers of traditional law enforcement. The Yard has long been part of my Jason Dark supernatural mysteries in a variety of ways, not in the least through the fact that Inspector Lestrade calls upon Jason Dark and Siu Lin on occasion. Since the cases of the ghost hunters involve killings and deaths, it is only natural that the two occult detectives have a lot of contact with Scotland Yard. At one point I began to wonder what would happen if the powers of the Yard would were to realize Jason Dark’s skills and acknowledge his legitimacy. An idea evolved in my mind that, perhaps, they would offer him a job. More to the point, perhaps, would they even open a department for the special kinds of cases he is regularly involved in? 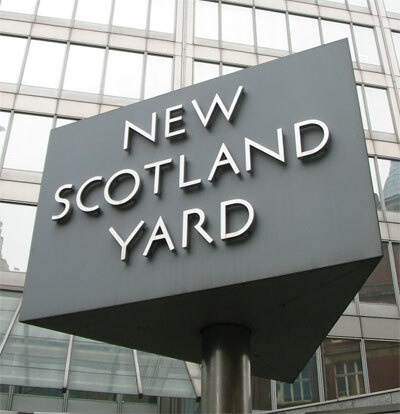 Traditionally, Scotland Yard worked in Divisions. 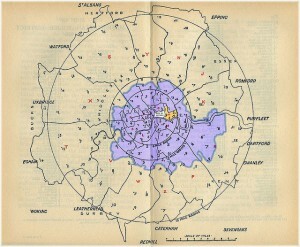 Greater London was divided into a number of sections that had a degree of autonomy under the Scotland Yard umbrella. In history, H Division became the most notorious one, no doubt. It covered London’s East End, and among it the Whitechapel district, the part of town with the largest crime rate and, of course, the killing grounds of the infamous Jack the Ripper. Other letters of the alphabet were assigned to other parts of the city. 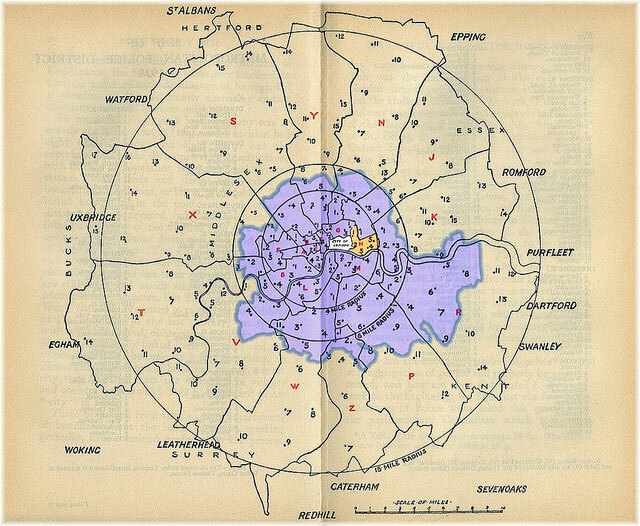 Interestingly, what many people do not know is that the City of London itself, which makes up only the very heart of what we typically consider London as a whole to be, had its very own police force and was not part of Scotland Yard’s jurisdiction. While this divisionalization had its benefits, particularly as the city continued to grow, it also had its limitations, of course. To counter the shortcomings that arose from the many disjointed divisions, another department was founded, commonly known as CID, the Criminal Investigation Department. Without the jurisdictional limitations of separate divisions, CID operated independently and quickly took charge of cases surrounding murders and rapes. It is this division, in fact, that we usually associate with the name Scotland Yard. It consisted of detectives in plainclothes, often working undercover in disguise as they investigated the most notorious and brutal of cases in the Greater London area. With all that in mind, I began to imagine the possibilities. What if Scotland Yard would indeed open a department dedicated to supernatural incidents? I foreshadowed the idea in a previous Jason Dark mystery also, “Curse of Kali,” and in the latest adventure, “Hunted,” I took that leap all the way and made it official. In the story you will find a scene in which Dark and Siu Lin are approached with the concept, as proposed by the Home Secretary and the Queen herself. Like many of the historic references and character cameos I have constantly built into the series over its course, this once again added a nice touch to the story, I felt, expanding the horizon of Jason Dark’s world and the possibilities for me to play with the characters and settings. He would no longer be a civilian, scrutinized suspiciously by policemen on the beat. 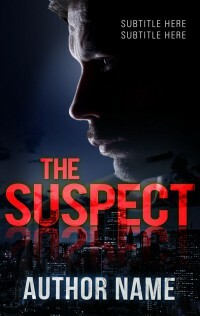 He would no longer be the prime suspect as people fall dead along his path, and he would suddenly have an entire police force at his disposal to help him solve cases. Not that I would want him to be regular copper, of course. Far from it. He is just not the type, but as you may agree, it would open up certain new thematic possibilities, not to mention the drama that would undoubtedly unfold if he were suddenly accountable to Queen Victoria herself. What is his relationship with the Queen, anyway? 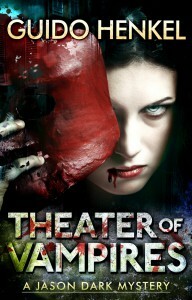 Check out “Hunted” to find out how Jason Dark reacts to the Yard’s offer, though. It may be good for a few chuckles along the way as he improvises in critical moments. Naturally, the story as a whole is probably more interesting than that small tidbit alone, but it is like a proper spice. It adds dimension without getting in the way. Therefore I would like to invite you to check out “Hunted” and get a taste of Jason Dark dealing with an exotic hopping vampire from China in an action-packed mystery that takes every last ounce of resourcefulness out of Dark and Siu Lin. 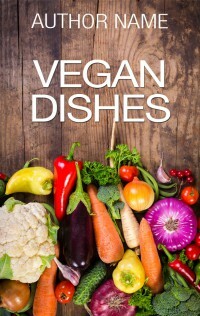 The book has just been released and is now available for a limited time only for $0.99. I hope you’ll have a blast with the story, and I’d love to hear what you thought of it, so don’t be shy to write to me. Today is a big day for me! It is a make-or-break kind of day, to be exact, because today I am giving Jason Dark a second lease on life. When I first started my Jason Dark series of supernatural mysteries six years ago I had no idea where the adventure would take me. Ebooks were a technological aspiration that had not yet fully emerged, let away broken into the mainstream, and I simply wanted to spread my wings into true fiction writing, after having spent decades writing for computer games. Consequently I wrote seven adventures featuring the inimitable ghost hunter Jason Dark and his sidekicks Siu Lin and Herbert, along with a serialized short story that was published in Fangoria magazine. Those who read the stories enjoyed them. some loved them—or so they said, and yet, the series never took off and I was forced to abandon it after finishing and publishing “Fu Man Chu’s Vampire” more than three years ago. It was a hard decision for me to walk away from the series. I had fallen in love with the characters and the setting of the series in Victorian England. Writing these stories was a dream come true on so many levels, but I simply could not afford spending any more time writing, publishing and promoting books that did not sell enough to make a living. It all started when I re-read “Fu Man Chu’s Vampire,” the last book in my series. I have the habit of taking notes constantly when I read—regardless of whose book it is—and I found that I had a lot of notes on this particular book. Notes where I felt the wording was weak, where more information would have been à propos, where the flow wasn’t as well-rounded as it could have been, and so on. It was then that I decided to give the book a good do-over and perhaps try to bring to full novel length. And so I got to work—and when I was done the book was 45k words long and deserved a new title—Hunted. With that done, and the knowledge that new title would require a completely new launch of the book, it was almost a foregone conclusion to relaunch the entire series along with it. So I talked to Lieu Pham who has been creating hundreds of covers for clients and her Covertopia.com website. Together we went through every book in the series and she created a stunning new cover for each one. At this time I also decided to make the first book in the series, “Demon’s Night” permanently free as a hook, to get readers to try out the series and hopefully continue from there. Although each of the Jason Dark adventures is a stand-along book that does not require any knowledge of the previous books, I understand that mean reader simply want to get into a series with the first book. 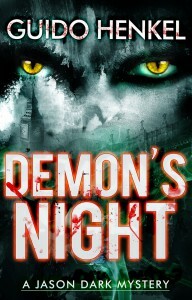 For me, the problem was that “Demon’s Night” was the first book I ever wrote—six years ago—so I wasn’t sure if the book would live up to expectations. While one could argue that a free book is a free book, my intention is to use it to introduce new readers to the series, and to hook them, and if that book is weak, clearly, the plan will not work. I daresay that I have grown as a writer since and when I began re-reading the book to check on the quality of the writing, I very quickly realized that it, too, would require a bit of extra work, so I made some changes. Not to the same extent as I did with “Hunted” but I did clean out some sections and added more information, while also looking for grammar and, most importantly, wording issues. Which brings us to today’s launch. The new website is live, all the books have been updated in online stores, making sure readers can now grab fully updated copies with their beautiful new layout. And, of course, the crème de la crème, “Hunted” is now available for everyone to read! 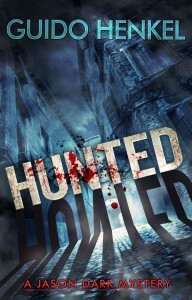 Help me bring “Hunted” to the forefront of readers’ minds, would you? It’s a 99 cent investment, less than a cup of coffee or a candy bar, and it will keep you entertained—I promise. Better yet, it will lure you back to the fog-shrouded streets of Victorian London and throw you in the middle of an action-packed mystery. New York Time-bestselling writer Joe Nassise even compared my character Jason Dark to the likes of Carl Kolchak—don’t be afraid to show your age—and Fox Mulder. I felt incredibly humbled when I read his endorsement. I mean, we are talking about Mulder here… THE Fox Mulder! So, if you’ve gotten curious, do yourself a favor. Buy the book—once again, it is only 99 cents currently, an investment I am certain you can afford—and help my Jason Dark series back on its feet. There are so many cool stories in the series, and so many more in my head that I have yet to write. So, let’s get this show on the road. Let’s put Jason Dark and Siu Lin on the map for all fans of supernatural mysteries to find, and your purchase of the book will go a long way towards that goal. Enough with the procrastinating, already… click on one of these links and get your copy of “Hunted” right now! If you don’t like the book, throw it in my face, and I’ll give you your money back. How’s that for a deal? Many of you have probably heard by now that for the past months I’ve been busy at work to reinvigorate and relaunch my Jason Dark series of books. All the hard work is about to pay off, %%% % % % I hope, as I am nearing the launch date of September 14 for “Hunted,” the latest book in the series, and with it the relaunch of the series as a whole. Just to get you started off, here is a look at the cover for “Hunted,” which shows off nicely the new style that all new covers in the series sport. As part of the process to breathe some new, fresh air into the Jason Dark books, I reworked the first book “Demon’s Night” once again, ironing out some things I wasn’t too happy with upon re-reading the story a while ago. More importantly, however, all the books in the series have been completely reformatted from scratch, using some of the more advanced formatting features that eBook readers of the current generation can handle. 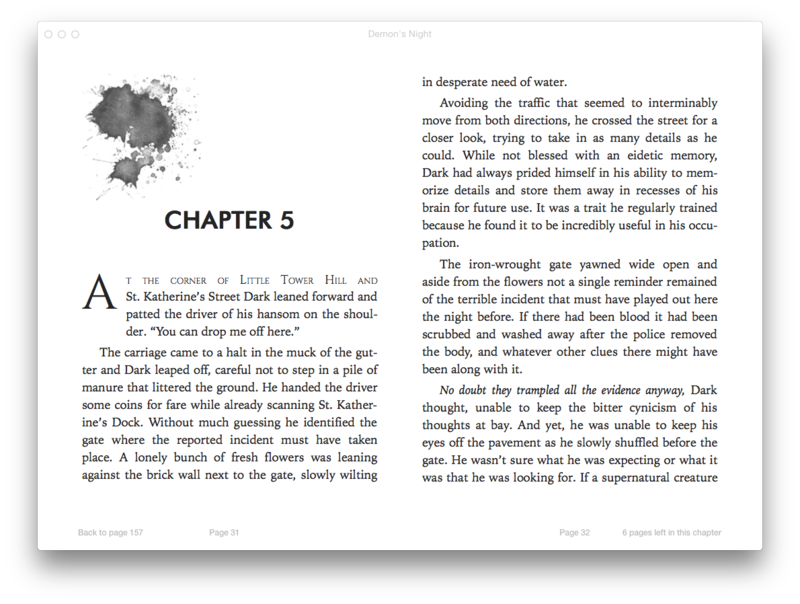 Here’s a look at the new look of the eBook versions for you. Compared to the simplistic look of the original stories, you can see, that the new layout is much friendlier on the eye with plenty of white space. A beautiful splatter of ink appears at the beginning of each new chapter, adding style to the layout. The splatter was actually the idea of Lieu Pham from Covertopia.com, who also redesigned all the covers for the series, and you would not believe what a difference it made once I dropped it into the page. Small things, such as this can often make a huge difference and her experienced design eye instantly realized the potential. The new layout also features custom fonts to create a brand-look for the books. The chapter title itself is using the same font that is found on the book covers, creating visual continuity throughout the book and with it, the entire series. In addition, I opted for the use of a large initial and first-line small caps for the beginning of each chapter. For that I also used a custom font to create an intricate, yet delicate look that is open and breathes. 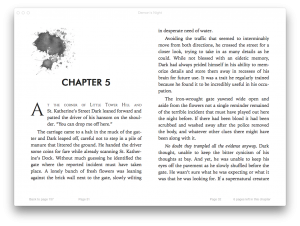 Naturally, the use of custom fonts and features such as this is not without issues, as those of you familiar with formatting limitations of eBooks will know. Not all devices support custom fonts, the small-caps feature or the way I set up the initials. It was important to me, however, to push the series forward, even if it meant using formatting features, even if it meant that older devices may not be able to display the pages exactly the same way. In a worst-case scenario, older devices will abandon the custom fonts in favor of the device default font, it will ignore the small-caps command, leaving the first line of the chapter formatted the same way as the rest of the text, and it may ignore the set-up of my initial, rendering it as a regular character, the same size as the rest of the text. While it may not have the glamor of the “advanced” layout of modern devices, I made sure that it won’t result in a garbled display and still look perfectly fine. The Jason Dark website has been completely revamped as well, and you can see it in all its glory here – www.jasondarkseries.com. 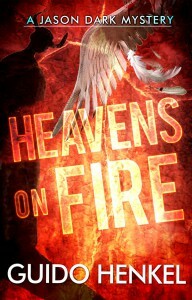 Check out all the new covers for each of the books. 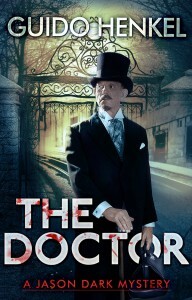 Fans familiar with the series will also notice that I have changed the title of the adventure “Dr. Prometheus” to “The Doctor,” a title that I think works much better. With only a few days left before the official launch, the next few days will be filled with a flurry of activities, all to raise awareness of the series and the upcoming new book. You want to help me make this launch an all-out success story? It’s really easy. Just share with your friends the news of the upcoming release and the overhaul of the entire series. Point them towards the website, let them know that “Hunted” will be available on September 14 with a limited time price of only $0.99, remind them how important reviews are, or simply show them the cool new look of the books, over on the official website.